Formerly known as Take a Break's Wordsearches, this magazine is back with a new name and a new look! 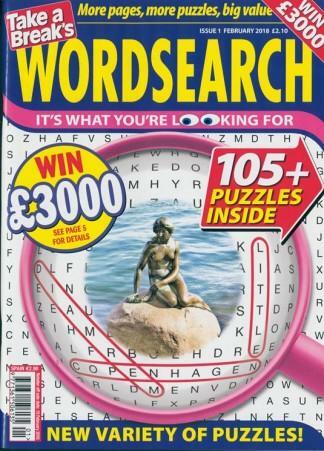 It's still crammed with wordsearches, but there are even more puzzles, and all for the same price! Plus there's a £5,000 cash prize up for grabs in our monthly competition.